The Artisan Design Team’s February box of products is fantastic. Were you as wowed by last week’s projects as I was? We are continuing to use some of the latest and greatest from the Occasions Catalog. If you have come over from amazing Jeanna, welcome to the next stop. If you are starting here, just continue around using the next buttons until you get back to me. So, the Ampersand Embossing Folder. 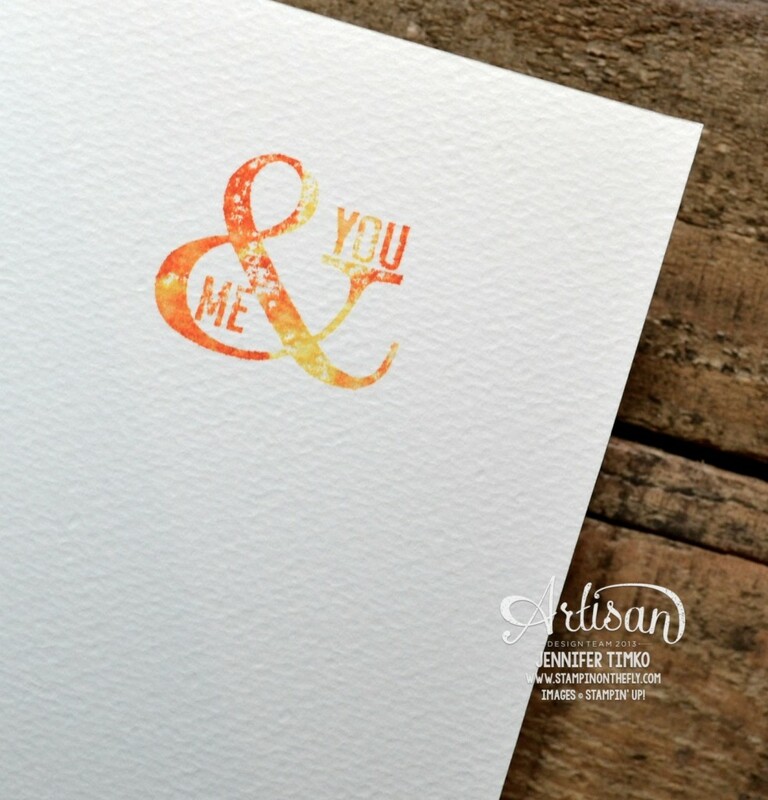 I know these little symbols are incredibly trendy (yea, Stampin’ Up!) but what to show you? One of my favorite suites in the new Occasions Catalog is the Watercolor Wonder Suite. The DSP (just got it and wow), the notecards (ditto) and the pretty stamps. So that was my inspiration. I took Watercolor Paper and cut a panel to emboss (4″ x 5-1/2″) and ran it through the Big Shot with the Ampersand Embossing Folder. Then I grabbed Daffodil Delight and Pumpkin Pie Classic Ink Pads. I squished the lids (that is the official term) and then opened the pads to get the ink from the inside of the lids. Using my Aquapainter, I picked up the ink and started coloring. Just let the ink run out and keep the colors a bit uneven and imperfect. When I was happy with the coloring, I took some splotches from Gorgeous Grunge and inked first in Daffodil Delight and then touched on a little Pumpkin Pie. I stamped off a little and then added the splotches randomly. The whole panel was popped up on Dimensionals and put on a card base made of Watercolor Paper. So I told you yesterday that this would be a non-standard Valentine. On the inside of the card, I chose the stamp from Perfect Pennants that has another ampersand in it. Again I inked first with Daffodil Delight and the rolled on some Pumpkin Pie (always use the lightest color first). I spritzed the inked stamp with water so that the stamped image would mimic the look of the front (I practiced a few times first to make sure I had it down – clean off the stamp before each reinking). I think this will be my DH’s Valentine so shhhh….don’t tell him! Making a whole card of Watercolor Paper is not for every day cards but perfect for special ones…he’s worth it!! I’ll be back tomorrow with the latest from Freshly Made Sketches and then later in the week with more Leadership Display projects. 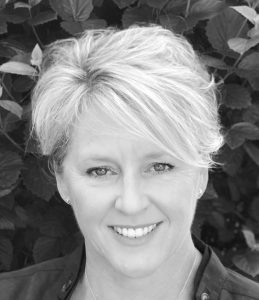 Okay, off to go visit the awesome Mercedes Weber. 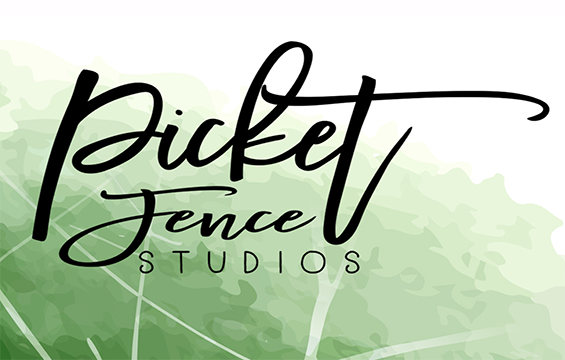 I can’t wait for you to see what she has created! Make sure you hop around the whole loop to take a look at beautiful creations by the whole team…you’ll be happy you did! 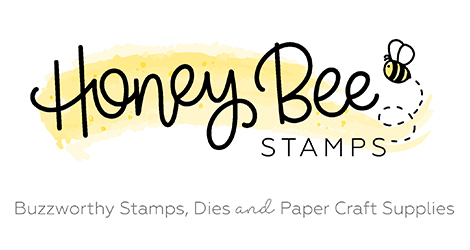 Click HERE to purchase any of these wonderful Stampin’ Up products. Um, hi, LOOOOOOOOOOVE this so much! Wow! Breathtaking… It’s a beauty! Very cool, what you did with this!! Awesome! Your watercoloring looks amazing! Great card! I think my heart just skipped a beat. Beyond LOVE! Okay Jen, how in the HECK did you get your water-coloring to stay so nice and even on your embossed image?! Seriously freakin’ amazing! 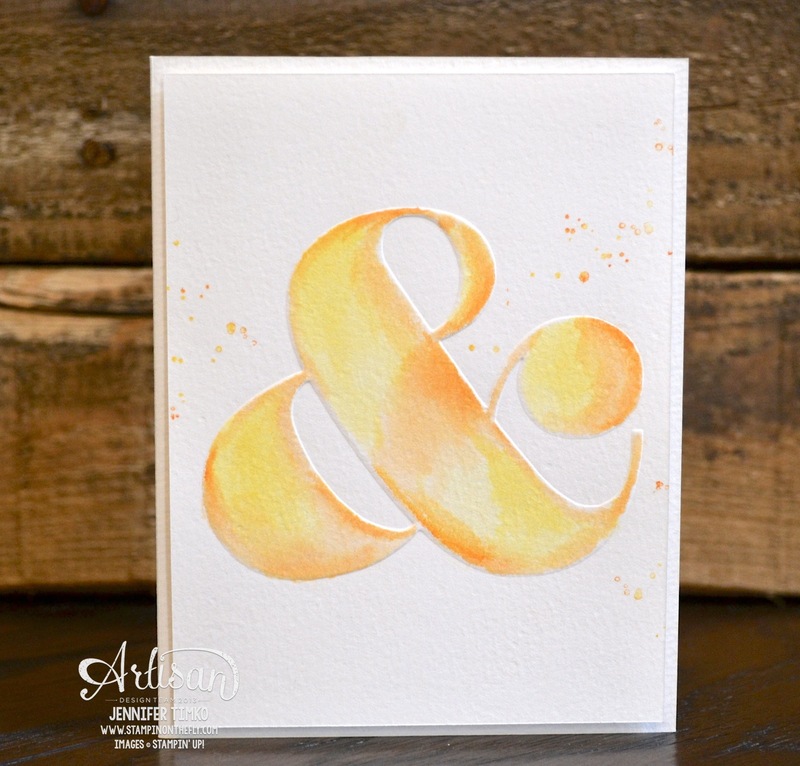 Love how you water colored the Ampersand! Thank you for sharing your ideas! Love the colors in this card! Love the card period.! Wow.. L O V E It!!! Super cool.. can’t wait to try it out! Now off to take the rest of the tour! So wonderfully artsy…………love the & in all of its watercolored glory! cute & clever, love it!